Update: OnePlus has confirmed that it's not a genuine invite. Move along people, nothing to see here. Earlier this month, there were rumors that the OnePlus 5T is not happening, but a week later, new rumors suggested the 5T is alive and breathing. And the latest development suggests the second round of rumors were correct. 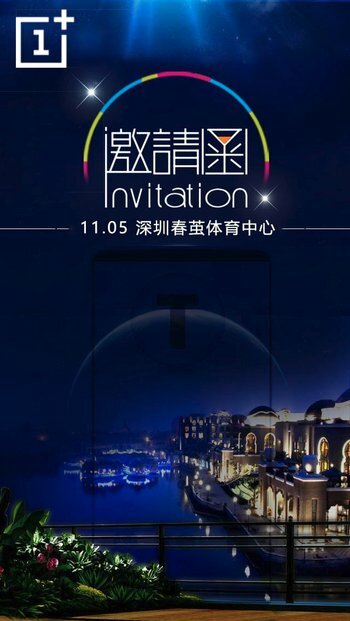 The company has started sending out press invitations for a November 5 event (set to be held in China), with the invite image featuring a phone outline containing a T in it. So it's reasonable to say the invite confirms that the OnePlus 5T will be the star of the event. And to allay any remaining doubts, the OnePlus 5 has reportedly gone out of stock across the world (except India, where it's peak festival season currently), indicating the device is being discontinued. Talking about 5T's specs, nothing much is known at the moment, except speculations that it'll likely feature a big screen (around 6-inch in size). Thanks for the tip, David A!